If you are a Xiaomi smartphone user then you are pretty familiar with MIUI operating system. Xiaomi is a china based phone manufacturer and they have created their own operation system and that is MIUI 8. MIUI 8 was launched on 19 of June 2016. 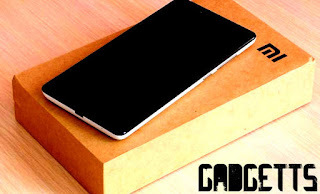 Redmi Note 4G was launched in the month of december 2014. Redmi Note 4G comes with a snapdragon chipset in India and the global version of Redmi Note 4G comes with mediatek chip set. Redmi Note 4G uses a qyad core 1.6 processor. Redmi Note 4G is packed with a 5.5 LCD touch screen which is very impressive . Redmi Note 4G also offers you a 720x1280 screen resolution and 267 pixel density. Multi-touch is also supported in Redmi Note 4G. Redmi Note 4G comes with a 13Mp primary camera with features like LED flash,auto-focus . Redmi Note 4G also offers a 5Mp secondary camera. Redmi Note 4G is packed with 8 GB internal memory which is also extendable. Redmi Note 4G uses 2Gb RAM. Redmi Note 4G uses a 3100 mAH battery . So lets start our guide of rooting Redmi Note 4G on MIUI 8 given below are the steps you have to follow. Charge your Redmi Note 4G to 100% before rooting it. You will receive a message weather you want to root your Redmi Note 4G "yes Root"
Thats all!! Now you have successfully rooted your Redmi Note 4G . So this was our guide on rooting Redmi Note 4G on MIUI 8.